Sixteen-year-old Nick and his family have battled magicians and demons for most of his life, but when his brother, Alan, is marked for death while helping new friends Jamie and Mae, Nick’s determination to save Alan leads him to uncover a devastating secret. He is young. He is hot. He is also evil. He is ……. the librarian. In 2018 Atlanta, Georgia, after a demon threatens seventeen-year-old Riley Blackthorne’s life and murders her father, a legendary demon trapper to whom she was apprenticed, her father’s partner, Beck, steps in to care for her, knowing she hates him. In small-town Canada after her mother’s fourth marriage, sixteen-year-old Nikki learns that her long-lost father is king of the demons, a fact that threatens to destroy her newfound popularity and sense of belonging. When his best friend, Charlie, is possessed by an ancient demon, fourteen-year-old Jack, accompanied by a girl with superhuman powers, battles all over London and into Hell to save him. A demon slayer, the only female warrior in the King’s army, must battle demon soldiers, an evil shaman, and the Demon Lord to find the lost ruby of the Dragon King’s prophecy and save her kingdom. When, after a demon appears to repossess her car, she discovers that both the car and her soul were given as collateral in a deal made with the Devil by her irascible grandfather, eighteen-year-old Bug Smoot, given two-days’ grace, tries to find ways to outsmart the Devil and his minions. Jane Jarvis, a senior at a Catholic girl’s school in Providence, Rhode Island, tries to save her best friend by making a pact with a demon–in the form of a cupcake-eating, very friendly teenage girl. Audrey, the sixteen-year-old daughter of a superhero, must access powers she never knew she had to defend Minneapolis from terrifying demons that have emerged from Beneath. The Stars Never Rise by Rachel VincentYA VINCENT, R.
In a world ruled by the brutally puritanical Church and its army of black-robed exorcists, sixteen-year-old Nina tries to save her pregnant younger sister from the Church’s wrath and discovers that not only is the Church run by demons but that Nina herself is one of the very few who can genuinely exorcise them. 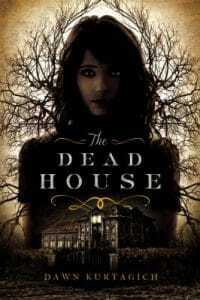 When fifteen-year-old Lexi’s younger sister Kasey begins behaving strangely and their old Victorian house seems to take on a life of its own, Lexi investigates and discovers some frightening facts about previous occupants of the house, leading her to believe that many lives are in danger. Liv Silver, fifteen, has lived in six countries in eight years and she and her sister yearn for a real home and normalcy, but soon after moving in with her mother’s boyfriend in London, Liv’s dreams turn bizarre, filled with talking stone statues, mysterious corridors, and strange rituals conducted by four boys who happen to be her new classmates.